She recently posted a picture in which she is seen flaunting her abs. 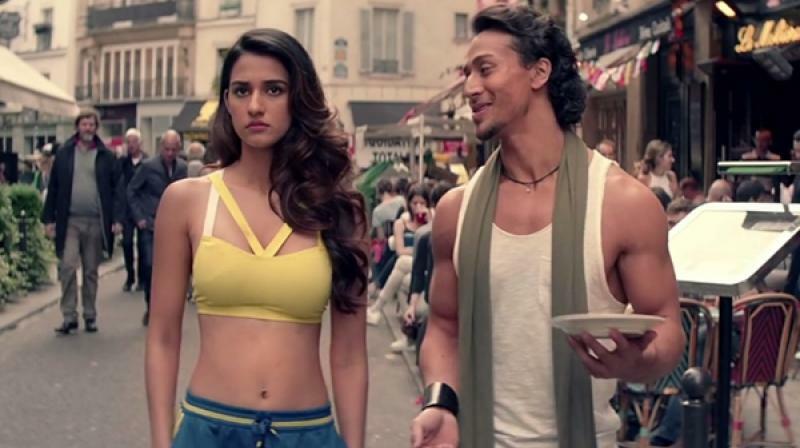 The duo of Tiger Shroff and Disha Patani has always been in news for their chemistry between each other. Rumours about them, being in a relationship is not a new thing. Both of them have been frequently spotted spending quality time with each other. One thing is common between both of them is that both are fitness freak. Recently she posted her picture in which she flaunting her abs and it seems that her rigorous workout has definitely paid off. Let’s check out her latest gym picture in which she is flaunting her abs and also few pictures in which she is looking stunning during workout sessions. The hot and beautiful actress was also recently spotted on a lunch date with Tiger Shroff and his mother Ayesha Shroff. Disha Patani has been often seen spending quality time with Tiger’s family.